James has been on site at Disneyland, Paris with XL Video for a European conference, produced by ADM Productions of New York. 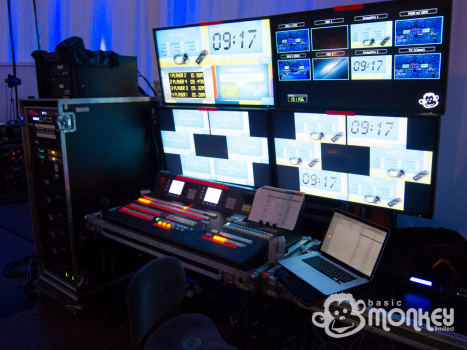 Along with operating the show using Barco Encore, James designed the video control system, providing schematics and patch information to XL Video and ADM. The system involved 6x projection outputs, each independently driven with access to 4x laptop sources, 2x interactive sources (from Inition) and a 3x camera PPU. The producer from ADM had a personal multi-view monitor with all the sources available, along with slide preview.